Regardless of the outcome of June 7 elections, Kurds have already grown into Turkey’s main corrective political camp with domestic and international implications. The real, long-term effect of Turkey’s People’s Democracy Party (HDP), which is the only political outlet rooted in the Kurdish movement, goes beyond the calculus of the upcoming general elections. The frequently missed point is that regardless of the outcome of June 7 elections, HDP has already assumed the role of a corrective party in Turkish politics – the political force that pulls other parties to the center of the political continuum. Whether HDP passes or fails the %10 electoral threshold – or ends up getting closed by the Constitutional Court, the political indent it has created will have medium-term effects. A corrective party (often called ‘third party’ in dominant two-party systems) sits at a unique place in multi-party democratic political systems. It doesn’t hope to get enough votes to ‘win’ an election and is therefore, spared from much of the populist requirements that restrain dominant parties to ideological extremes during polarizing episodes. Thus, corrective parties can sit closer to the political center and assume a political high ground, which allows them to punch above their belt in political bargaining processes. Corrective parties wield disproportionate influence over their respective political systems especially when dominant parties need to enter into coalition, or to ally with another party to pass a particular legislation. Especially in polarized political systems, the disproportionate weight of corrective parties force dominant parties to ‘correct’ their legislations and policies in favor of the corrective party’s ideology and agenda. This is usually a progressive, liberal or libertarian ideology. In Turkey, the 10% electoral threshold to enter the parliament has largely complicated the formation of corrective parties. Although the threshold was introduced by the military leadership of the 1980 coup to prevent legislative crises that marked much of the 1970s, less verbalized reasons were the prevention of Kurdish parties to enter parliament and to prevent them from assuming a corrective party status. That’s why after the failed alliance with SHP in 1991, Kurdish deputies chose to run in the elections as independents and aimed to win seats without any party affiliation. Since 2007 general elections, the third party in Turkish politics was the Nationalist Action Party (MHP), although the party didn’t really fit into the definition of a ‘corrective’ party. 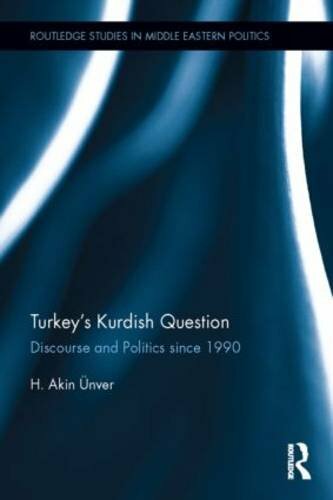 The reason for that lies within the foundation of Turkish politics, which is structured on two fundamental sociological polarities: Sunni-Alevi and Turkish-Kurdish constituencies. The AKP’s ability the cover a wide spectrum of the Sunni sociology and its mixed success in bringing Kurdish Sunnis into its political alliance, has lead to the disenfranchisement of the Alevis that could either rally under the CHP, MHP or HDP. While CHP and HDP have grown into more suitable political outlets for Alevi grievances, MHP, as the ‘third party’, has chosen to exploit the government’s failures in the Kurdish peace process. In doing so, MHP has benefited substantially as the process soured in the last year and attracted some of AKP’s nationalist power base, which grew skeptical of the negotiations. In establishing a critical stance towards the Kurdish peace process, MHP also alienated Alevi– or secular-Kurds, which spilled-over into their cautious stance towards MHP. In isolating itself solely to its rejection to the peace process, MHP has departed from one quality that makes corrective parties what they are: heterogeneity. The hallmark of successful corrective parties is their heterogeneity and their ability to bring together as many disenfranchised sociologies as possible to create a ‘conveyor coalition’. Similar to the Welfare Party’s (Refah Partisi – RP) political transition in 1990s (or the evolution of its successors, that culminated with the establishment of the AKP in 2001) that enabled them to emerge from a fringe Islamist party into a ‘party of the masses’ that won the 1997 elections, a ‘conveyor coalition’ party is open, receptive and dynamic in comparison to other status quo parties. Such parties bring together as many disenfranchised segments of the political sociology together and act as a legitimate channel for them to voice their grievances. In doing so, the party expands its grassroots support and increases its nation-wide popularity in a way that wouldn’t be possible as a rigidly ideological camp. On June 7 election, regardless of the outcome – whether HDP passes or fails the 10% threshold, it has already embarked on a path that will have long-term impact on Turkish politics. In terms of taking the political risk of expanding beyond its immediate political sociology and in performing the role of a ‘carrier coalition’, there is no other party in Turkish politics than the HDP that can successfully take on the role of a corrective party – even it ends up staying outside the parliament. Resembling the 1991 restructuring of RP, HDP now appeals to a wide-range of Turkey’s socio-political spectrum; albeit its level of support may not seem high enough. RP too, had started off with only 7.16% support in 1987 general elections, but mustered 16.88% in 1991 and an unprecedented 21.38% in 1995 elections. If the party sustains this dual role and doesn’t succumb to the temptations of satisfying its own power base (especially if it fails to pass the 10% threshold) HDP’s political weight in Turkish politics will turn it into a wild card that can steer the direction of domestic – as well as foreign policy decision-making processes; including the fight against ISIS and Turkey’s approach towards northern Iraq and northern Syria.